Recently I told a client to take photos of himself with his happy looking patients. He was then to hang these pictures along the hallway, leading back into the treatment rooms. This way, when the new patient is ushered back to see the practitioner they would be met with a plethora of happy, smiling patients, obviously happy to be in this practice. The positive impact was felt immediately. When patients see photo’s of many smiling people, they presume that they should expect a great experience as well. I have many clients who have a cork board in their waiting room with photos of smiling patients, patients being treated, photos of new born babies, etc. This works really well. If you do not have one of these yet go out & get one & start taking photos of your happy patients. 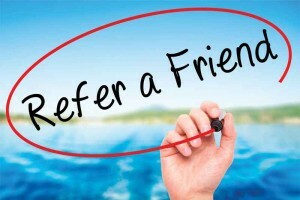 Your referrals will increase & your practice will grow. This is what social psychologists call social proof.